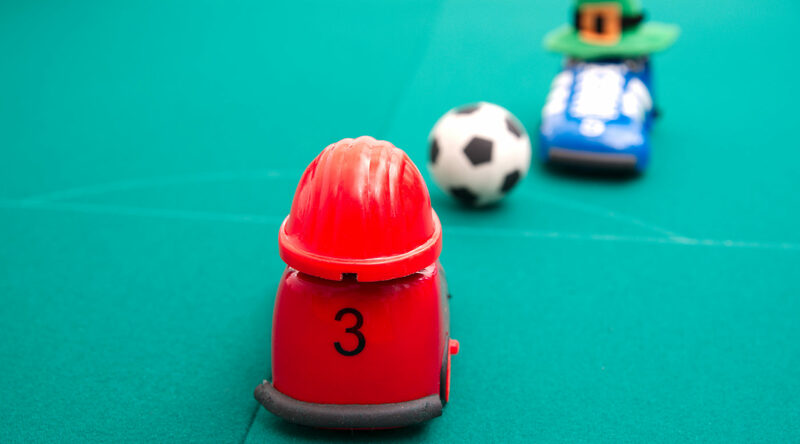 Skill, teamwork and tactics are all necessity in this football game with a difference! Played on a 4 x 2m pitch two teams of three go head to head, using their radio controlled unique boot character to ‘kick’ the ball into the opposing team's goal. 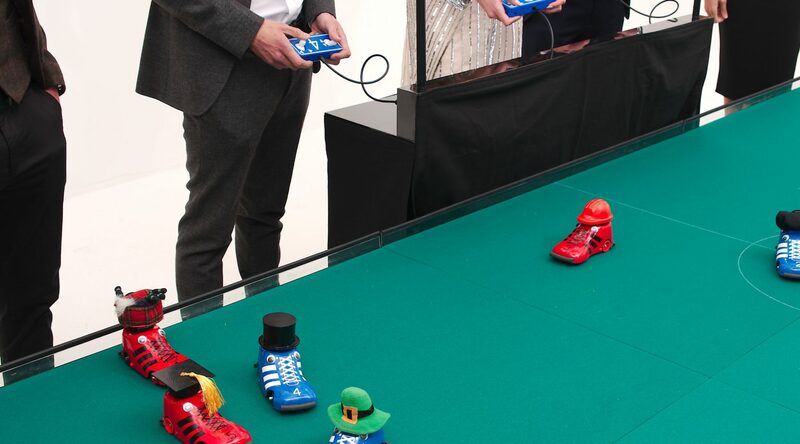 An exciting and fast-moving game that is sure to bring out your guests’ competitive side! 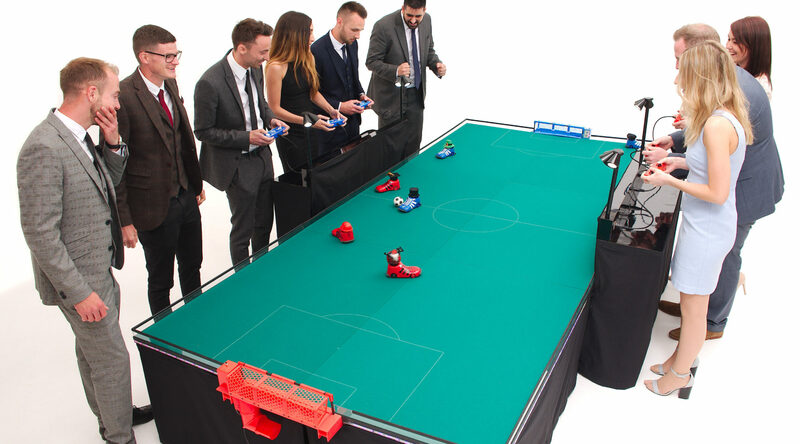 >The pitch is 4 x 2m with a 0.5m table height. >Quick and easy to assemble in virtually any venue across the UK, or abroad. 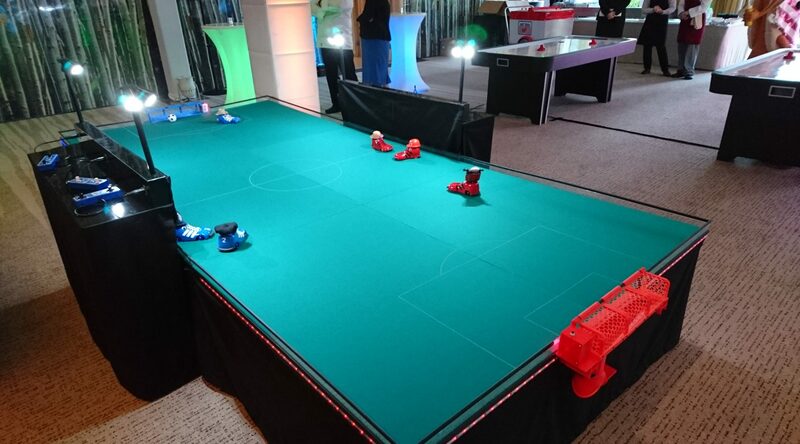 >An experienced member of our events team will set up the equipment and referee the game; ensuring your guests get the most out of the game. >Reliability is our top priority. Our high-quality equipment together with backup systems for all critical components means we never let our customers down. >Discounts available for multiple game hire. >The perfect addition to team building events, after conference entertainment, Christmas parties and wedding receptions! * Corporate team building (We can run the event as a league or a knockout match; either style is sure to break the ice, energise and entertain your guests). * Party entertainment (e.g. birthdays, weddings, Bar Mitzvah etc). A maximum of 6 at any one moment (3 players on each team). 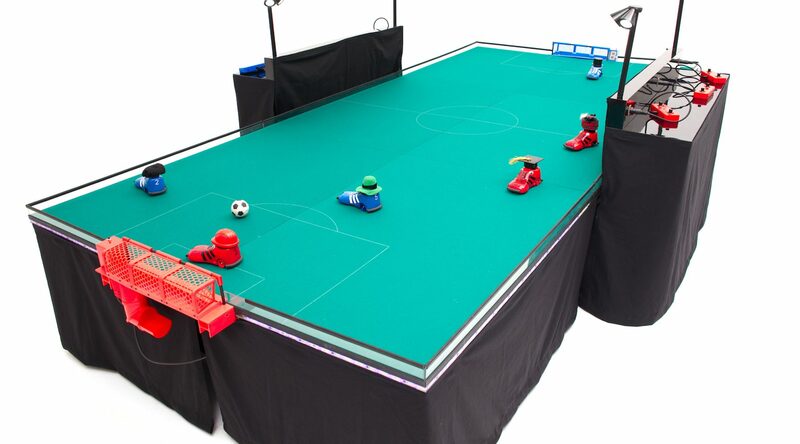 The pitch is 4 x 2m with a 0.5m table height. Yes. 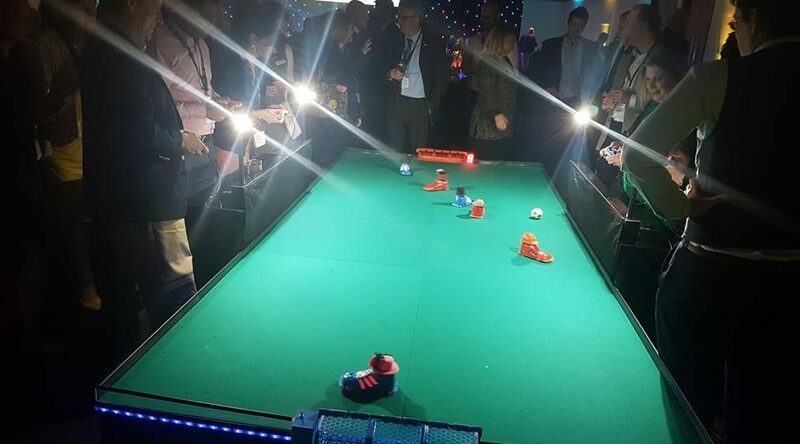 Based on driving remote control cars, this is a challenging game. 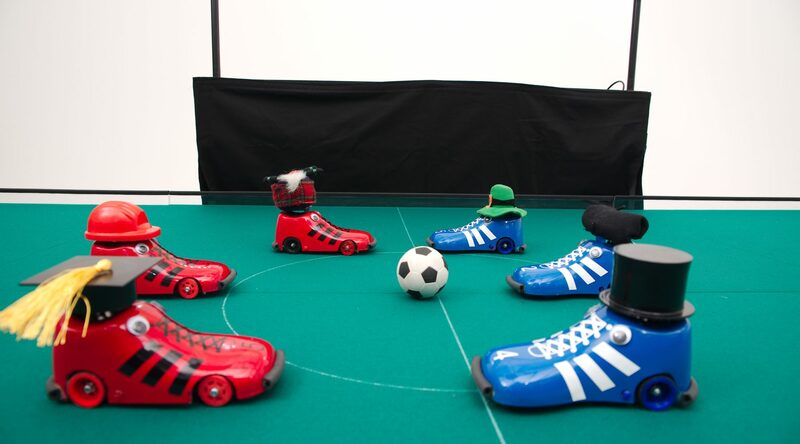 Players remotely drive their boots to nudge the ball into a goal. That’s not to say some guest won’t be a natural at it! 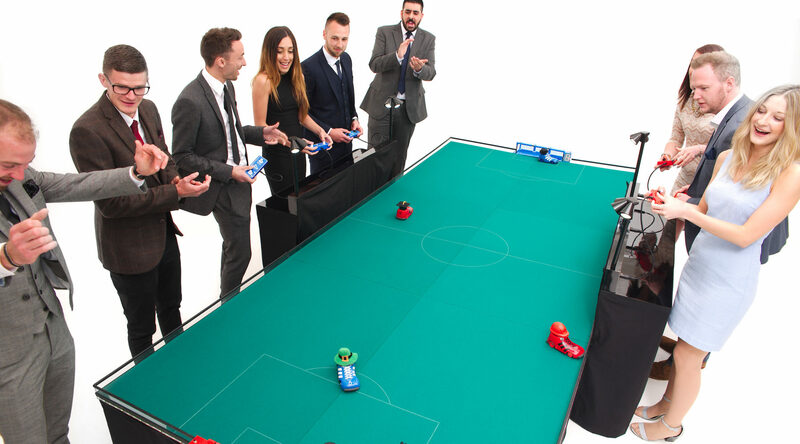 Yes, this football style game involves up to 6 players competing in 2 teams of 3. Electronic scoring records the goals. 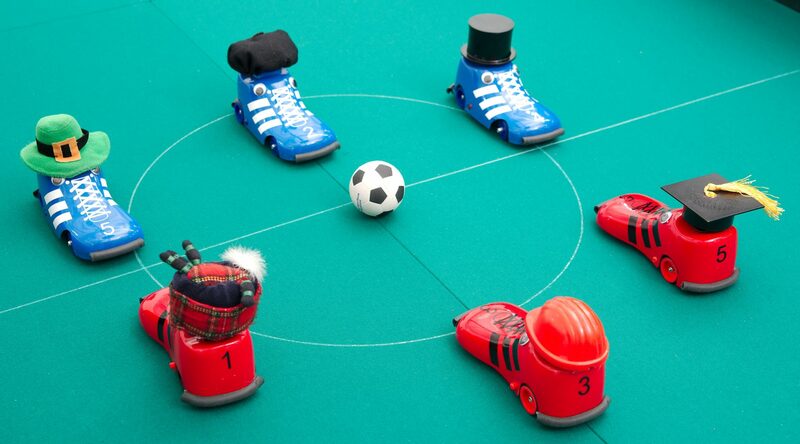 A formal match is best, but a kick about also is fun. The remote control boots can be custom designed to order. The black surrounding curtains of the game (below the pitch) also provide a large and ideal space for branding. 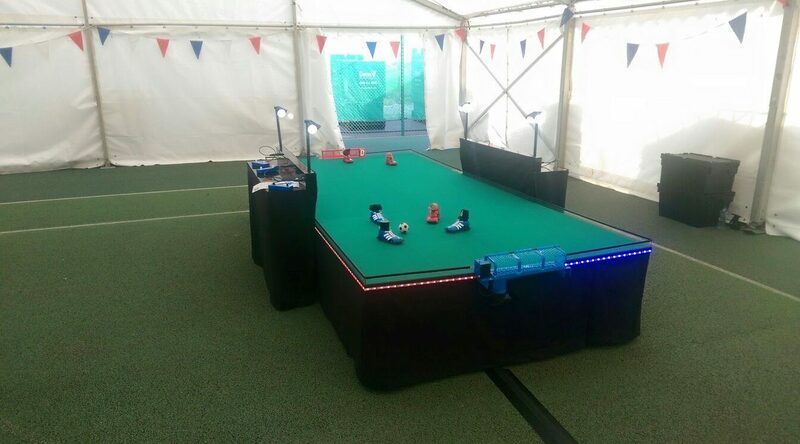 An experienced member of our team will set up the equipment and referee the game so that you can spend your time relaxing and having fun. Miniboots dismantles and will go through a regular doorway and into lifts. Setup time is about 40 minutes. Yes very. Guests are asked not to touch the boots. But if they do, boots are light and relatively slow so they don’t hurt. Safe low voltage electricity is used. Portable appliance testing (PAT) is regularly performed on the electrical supply. Price varies due to event location and duration, Please give us a call on 01628 675805 or fill out a booking form and we will be happy to provide you with a quote .